"Set the World on Fire: Black Nationalist Women and the Global Struggle for Freedom." In this talk, historian Keisha N. Blain discusses how black nationalist women engaged in national and global politics during the twentieth century. In Chicago, Harlem, and the Mississippi Delta, from Britain to Jamaica, these women built alliances with people of color around the globe, agitating for the rights and liberation of black people in the United States and across the African diaspora. As pragmatic activists, they employed multiple protest strategies and tactics, combined numerous religious and political ideologies, and forged unlikely alliances in their struggles for freedom. Their stories, which have been largely hidden in popular historical narratives, underscore the depth and complexities of the global black freedom struggle and offer valuable lessons for contemporary black politics and activism. 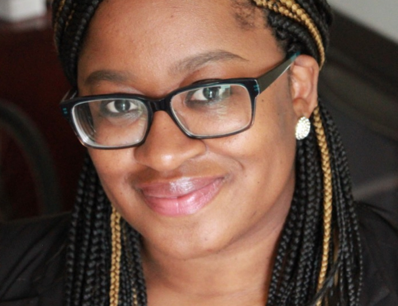 Keisha N. Blain is an award-winning historian who writes on race, politics, and gender. She obtained a PhD in History from Princeton University and currently teaches history at the University of Pittsburgh. She is the author of Set the World on Fire: Black Nationalist Women and the Global Struggle for Freedom (University of Pennsylvania Press, 2018) and co-editor of Charleston Syllabus: Readings on Race, Racism and Racial Violence (University of Georgia Press, 2016); and New Perspectives on the Black Intellectual Tradition (Northwestern University Press, 2018). Her work has been published in several academic journals such as the Journal of Social History and Souls; and popular outlets including the Huffington Post, The Washington Post, and The Feminist Wire. She is the president of the African American Intellectual History Society (AAIHS) and senior editor of its popular blog, Black Perspectives.